Certain projects call for the expertise of an engineer. Whether you’re building a new home or renovating your existing space, you might need a structural engineer for help with your home project. These experts focus on any formational considerations surrounding your house. Use this guide to understand what these professionals do, and the steps you can take to hire the right expert. A structural engineer will ensure that your construction project, renovation, or addition is well-built and designed to last. They visit the site for review, create drawings that show weak points of construction, and recommend adjustments. Most pros also review geological data to minimize environmental threats to your home, like leaking foundations and wind damage. If an engineer hasn’t seen your building plan, have them proof it to ensure that everything is problem-free. Working with an expert also ensures that you’re not overlooking any key aspects in construction projects. Jumping into a build without this expertise can result in rebuilds, fines, and dangerous formational problems. An engineer will make sure that everything is up to code, providing you with the reports needed for construction. Structural engineering is a branch of civil engineering that deals with the safety of large constructions. It connects the work of architects and contractors to ensure the project is safe. Licensed pros have at least a bachelor’s degree in the field, plus several years of experience under another licensed expert. When you hire these services, you’ll get a firm or individual focusing on how safe and realistic a design is. You get necessary recommendations on the right contractor and steps to make and keep the space safe. Engineering firms and pros typically focus either on residential or commercial properties. The general tasks are the same, but the scope often differs. A large office building requires the evaluations and review of multiple professionals. Adding an extension to your home only requires one. For residential properties, structural engineers are advisors. They consult, present their calculations the homeowner or builder that hired them, and can review the finished product. For a commercial space, they’re often project managers. They work directly with the architect during the design phase, then visit the construction site multiple times to ensure the building is up to code. Construction and structural engineering are similar. Both focus on the formational integrity and safety of a space as it’s being built. However, construction engineers tend to be more involved in the building project. and evaluate the property after completion. Home inspectors know a little about a lot. When hired, they’ll look at anything from your foundation to the gutters. When they find damage, they refer to a specialist to find the root cause and recommend a solution. When the issue is the structure itself, that specialist is most likely a structural engineer. They review root cause of problems like foundation cracks or evidence of termites. Then, they evaluate the extent of the damage and recommend next steps. Both types of pros can take care of an immediate foundation problem. However, only one of them has the expertise to holistically consider the safety and impact on the entire structure. Recommend repairs isolated to the foundation. Know the exact steps needed to lift the slab for a sinking foundation. Calculates the impact of foundation damage on the entire home. Recommends solutions for a comprehensive fix. May recommend but typically don’t hire or subcontract pros to fix the problem. Structural Engineer: Ensures the safety and integrity of a building. Civil Engineer: Focuses on utilities and drainage on a property. Architectural Engineer: Intersects architects and structural engineers, with a focus on executing good designs. Electrical Engineer: Ensures correct wiring, lighting, and power distribution. Mechanical Engineer: Works on HVAC systems and proper ventilation. Technology Engineer: Builds out systems related to IT, AV, and smart homes. Any time the structure of your home is in question, it pays to work with a structural engineer. The problem may be a damaged foundation or worse. From building a new house to a retaining wall on your property, evaluating the structure can prevent future problems. Most structural problems come from foundational issues. If you notice leaning, cracked or bowing walls, find a local engineer to inspect your foundation. They will diagnose the problem and offer a suitable solution. Evidence of termite damage or other issues with load-bearing beams in your home may also call for this type of pro. An addition will affect the structural integrity of the rest of your home. An engineer can help you plan for an addition to ensure that it is up to code. It also needs to be compatible with the original structure. Working with an expert helps you evaluate its foundation and roof, and how both may add to the stresses put on your house. Major interior renovation may lead to structural changes within your home. Your residential designer might need a dedicated pro to evaluate whether that’s the case. For example, knocking down walls can impact the strength of the building’s framing. An engineer should inspect any walls or columns you want to remove before demolition begins. Taking out a load-bearing wall without the proper support in place can result in serious damage. A structural engineer can follow up on any signs of structural damage a home inspector finds. Their report can alleviate buyer concerns, or estimate the repairs needed for a property for sale. Always include an engineer in the planning of your new house. 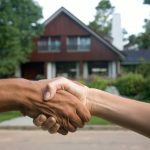 When you hire a home builder, ask about their partnerships with these pros. The expert you hire will ensure that every aspect of your build is structurally sound and up to code. Work with an expert to make sure that a retaining wall can hold up to nature. It should not just support soil during good weather, but also during heavy rain falls. Soil expands and contracts depending on temperature and humidity. An engineer can help you figure out these stresses and build a wall that can withstand them. Precision and experience are key in this profession. One wrong calculation, and your home may not be safe. Follow these tips to choose a good structural engineer for your property. Start with your existing contacts through your home inspector, designer, or builder. Browse our Architects and Engineers Directory for experts in your area. Find at least two to four professionals to further evaluate. Read relevant reviews online, especially for projects like yours. 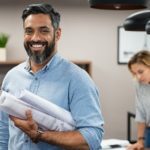 Check the state licensing for anyone you look to work with. Ask the right questions as you evaluate potential experts to hire. As you evaluate potential pros, try to speak directly to the engineer you’ll work with. Ask these questions to find a good fit for your project. Can you elaborate on your experience with projects like mine? Are you licensed in my state, and what is your licensing number? Do you have any references for projects like mine that I could consult? What would your scope of work be on my project? How involved will you be in the project itself? Will you be able to evaluate the project once it’s complete? What Type of Engineer Builds Houses? The right type of engineer depends on the house you’re looking to build. Most builders work with structural engineers to ensure safety of the structure itself. For builds beyond a typical home up to 3,000 square feet, you might need a construction engineer. Engineers work in a variety of fields, specializing in anything from structural to electrical work. Some work independently and are hired by large construction companies for complex projects. Others form engineering firms that oversee the entire construction project. They spend time on construction sites, but also work in offices to make calculations and prepare recommendations. 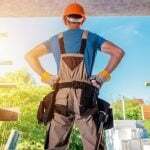 What States Require Licenses for Building Engineers? All 50 states require licenses for building engineers. Don’t work with a professional who doesn’t have an active license or doesn’t want to share their licensing number with you. It’s a crucial step in making sure you’re working with a reputable expert. Do I Need a Structural Engineer for My Extension? When you build an extension, you most likely need a structural engineer. They’ll work with the builder to make sure the space is safe, but also make sure that your addition follows the right zoning laws. Do I Need One for a Loft Conversion? Loft conversions generally call for an engineer. The project will include working with beams and trusses that most likely hold up your roof or other parts of your home. You need a pro who can calculate the impact of making any changes. What’s the Difference Between a Civil and Structural Engineer? Structural engineering is technically a subset of civil engineering. Most commonly in residential projects, civil engineers are accountable for sewage, water, and drainage, while structural engineers focus on the structure and its integrity. 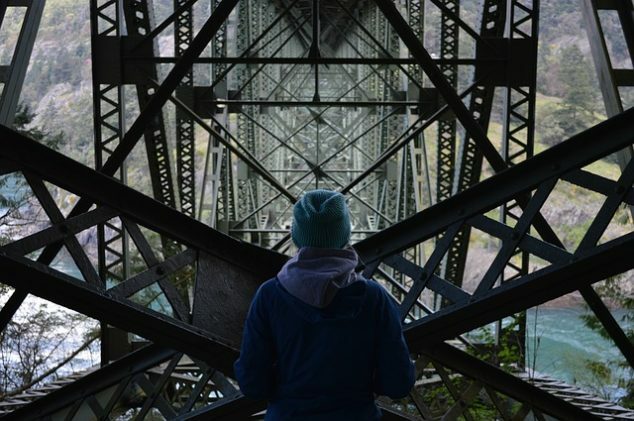 What’s the Difference Between Structural vs. Architectural Engineering? Structural and architectural engineering are very similar. Both work with architects to make sure the designs don’t just look good but will hold up. The former is typically involved early on, making initial calculations. The latter is more closely involved with the architect, carrying a design from initial concept to actual build. 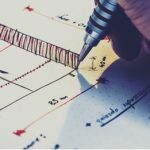 What Does it Cost to Hire a Structural Engineer? Hiring a structural engineer costs between $300 and $650 for most homeowners. The price is typically fixed at the beginning of the engagement. Your budget may need to range upwards of $1,250 if the pro doesn’t just provide an initial evaluation but partners with you throughout the construction. Whether for foundation repair or new construction, the right engineer might be the most important pro to work with. They’ll ensure that no matter the work, it won’t compromise the safety of your home. Find a structural engineer near you to start the process. Our floors are sagging on our main level. We do have water issues as well. A crack in the foundation. We are looking to do some remodeling and a friend who is an interior designer said we needed to get our foundation and flooring issues settled first.